BEAUTIFUL HOME HEATING SOLUTIONS Regency Fireplace Products was founded over 35 years ago with a mission to produce the finest fireplace products available anywhere. Regency has heating solutions for any room in any home. CUSTOM STYLING By researching current trends and styles we have created tasteful options and accessories that allow you to tailor the look of our fireplace to your home. Sleek and simple or grand and glamorous… the choice is yours. CUT HOME HEATING BILLS IN HALF! Turn down your furnace and zone heat just the rooms you spend time in. This high efficiency heat will lower your home heating bills. 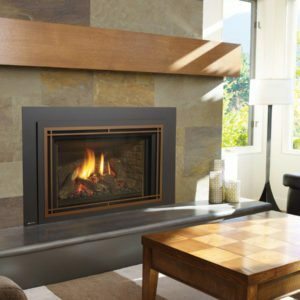 The entire Regency Gas Fireplace Insert line produces consistent, controllable warmth even during power outages. LIFETIME WARRANTY I am so confident in the quality workmanship, the finest materials and durable heavy-duty construction invested in each and every product, that I offer a Limited Lifetime Warranty. The Regency warranty is the best in the industry.